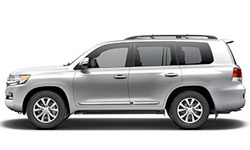 The 2018 Toyota Land Cruiser from LaGrange Toyota in Georgia – serving Columbus, Peachtree City, and Newnan, GA, and Auburn and Opelika, AL – is comfortable on or off the road. Conquer your world with the kinetic dynamic suspension that adds optimal traction and the 5.7L V8 engine that has 381 horsepower. 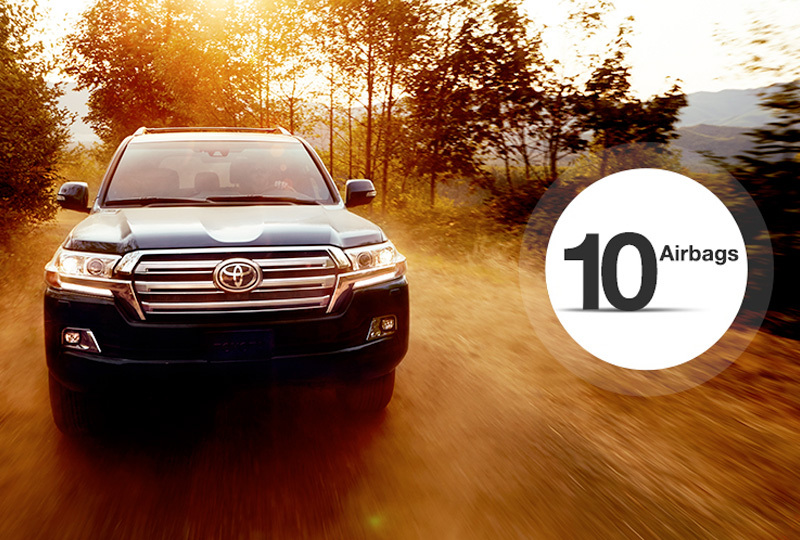 Escape the daily grind by loading up the family and heading off for an exciting adventure. Split-folding second- and third-row seats offer more room for storing supplies like luggage, camping gear, and sports equipment. Sophisticated, leather-trimmed, front seats can warm you up when temperatures drop or cool you off when heat rises. Extend the life of your snacks with the cooler box in the center console. Settle the kids down with a movie on the available, rear-seat, DVD entertainment system or get them to sing along with the songs playing through your Entune infotainment center. Monitor your surroundings with the multi-terrain cameras on the rear and side of your vehicle to keep safe on the way to your exciting destination. 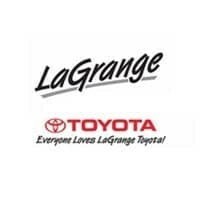 We have a great lineup of 2018 models so browse our inventory online today, and then call us at 706-407-4663 or visit us at 1221 Lafayette Parkway, LaGrange, GA 30241 to schedule your test drive. 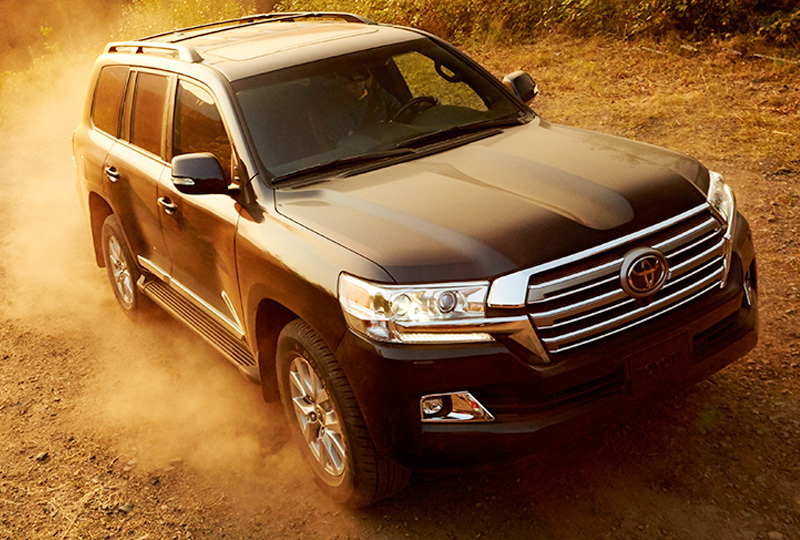 We can’t wait to send you home in the 2018 Toyota Land Cruiser you’ve been dreaming of! 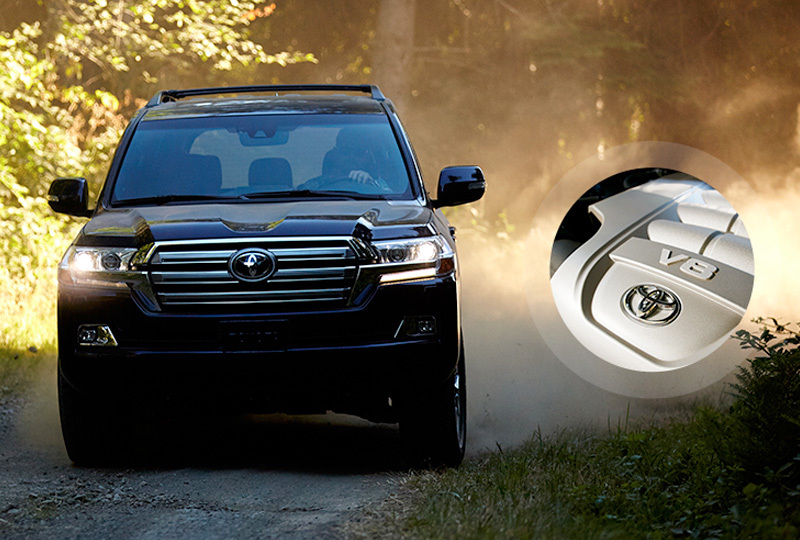 Land Cruiser’s Entune™ Premium JBL® Audio with Integrated Navigation and App Suite gives you a high-end entertainment experience. Its high-resolution 9-in. 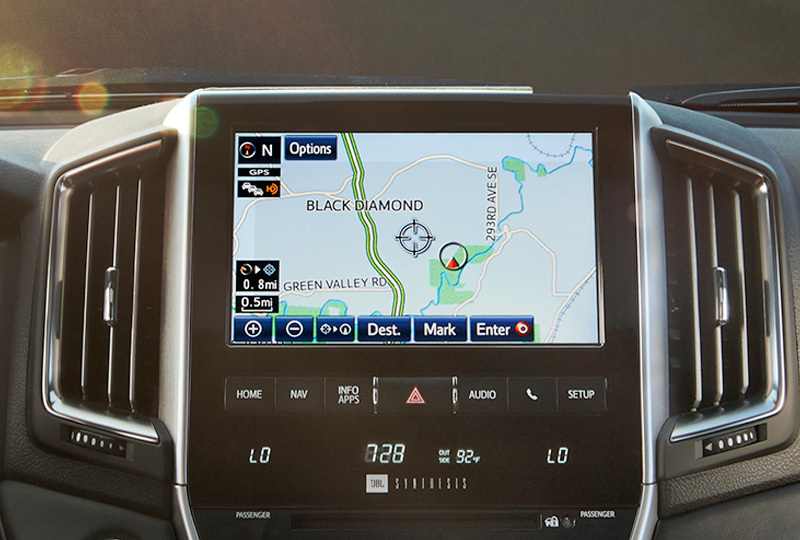 touch-screen display lets you access the integrated navigation system, your music and more. SiriusXM® Satellite Radio compatibility and iPod connectivity means you’ll always have the perfect soundtrack to your adventure. And with 14 JBL Synthesis® speakers, including a subwoofer and amplifier, it will all sound amazing too. All the airbag systems are Supplemental Restraint Systems. All airbags (if installed) are designed to inflate only under certain conditions and in certain types of severe collisions. To decrease the risk of injury from an inflating airbag, always wear seatbelts and sit upright in the middle of the seat as far back as possible. Do not put objects in front of an airbag or around the seatback. Do not use a rearward-facing child seat in any front passenger seat. See Owner’s Manual for additional limitations and details.